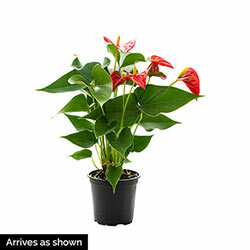 Bloom Time Anthurium bloom year round when cared for properly. 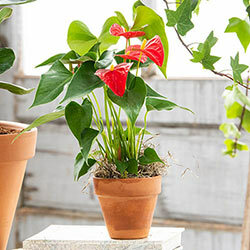 Planting Instructions: Re-pot when the anthurium's roots fill out its old pot. Plant it at the same soil level it was at before. Soil Requirements: Keep the soil damp, but do not drench the soil. 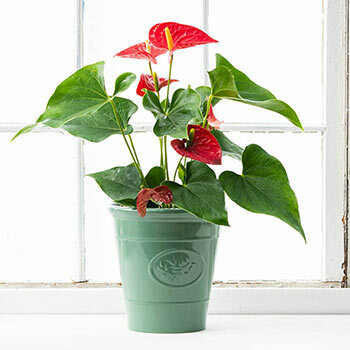 Anthurium do not like continually moist soil and its growth rate will slow down.